Today while I am taking photos, Obama will be playing basketball, a ritual and superstition he acquired early in the primary race against Hillary Clinton. 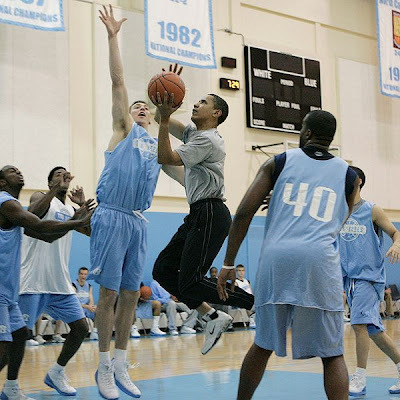 One of his stops along the way, back in April, was at my alma mater UNC-Chapel Hill, where he played pick-up basketball with Carolina’s Final Four team. 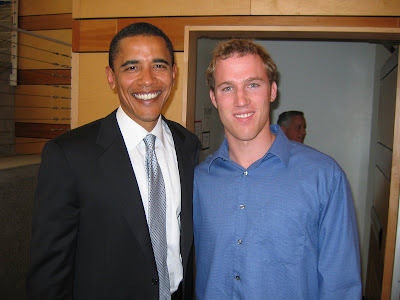 Like Obama, my first love was basketball, and seeing what he has done with his life provides validation that is sometimes lacking in my own life. It is likely he will be feeling something even better tonight. I think I will, too.